. Printer friendly version. Download in Word format. Over the years since we first published this website, there have been visitors from all over the world. Some of our visitors send in genealogical information about their particular branch of the global Quagliata family tree. We use the information to try and determine if their family is directly related back to Mario Quagliata (1843?-19?? ), who's branch forms the basis of the genealogical listing we are developing. While the lineages presented on this page may be related at some point further back than we've been able to trace, to date, the exact nature of their linkage is unknown. However, we are adding these lineages to a special section of Richard's Chart called Lineages of Unknown Linkage. And, we are presenting the extra information and narratives on these lineages in the following paragraphs. The information is organized according to the Italian town of origin. As we said in the 'Welcome' section of our main webpage, Sant'Alessio Siculo is the little town "south of Messina" that many believe is the place of origin of the Quagliata lineage. Three families that trace their lineage back to Sant'Alessio Siculo have contributed information to our website. Thanks to the work of John Quagliata, of the Cleveland family, we now know all three of these lineages are related. The first family's patriarch is Pasquale Quagliata. He was most likely born in Sant'Alessio Siculo about 1810. Pasquale married Teresa Trimarchi. We aren't sure how many children Pasquale and Teresa had, but we do know they had two sons: Giuseppe born in 1833, and Luigi born in 1836. Giuseppe married Giuseppa Carciatto and they had four children: Teresa, Pasquale, Giovanna and Maria. Teresa married Angelo Quagliata (possibly a cousin), who was a grandson of Carmelo Quagliata, patriarch of the Sant'Alessio family that immigrated to Cleveland, Ohio (see below). In a coincidental turn of events, Teresa's sister Maria married Angelo's brother Giuseppe. Pasquale Quagliata and Teresea Trimarchi's second son, Luigi, married Caterina Villara and they had a least three children born in Sant'Alessio: Teresa born 1870, Giuseppe born 1873 and Francesco Paolo born in 1878. We have no information on what happened to Teresa. Francesco immigrated to New Brunswick, New Jersey around 1910. 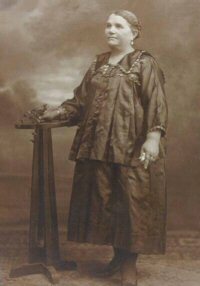 Giuseppe married Concetta Ricciardi in 1898, it was Concetta's second marriage. Their only child, Luigi Quagliata was born in 1899. Luigi was half brother to Concetta's three children from her first marriage - Teresa, Domenico and Paola Villara. Teresa Villara' died at 19 with her infant daughter in the famous Messina earthquake of 1908. Giuseppe Quagliata (b.1873) immigrated to New York in 1908, but eventually returned to Italy in 1948, where he died in Rome in 1954. Giuseppe's son, Luigi Quagliata married Anna Taranto in New York in 1934, after which they moved to Rome. Their children were born in Rome: Louis in 1937 and Narcissus in 1942. Luigi was an architect. He designed the theater where the Venice Film Festival is held every year and was also a member of the Italian Parliament in 1946, after the war. Anna moved to New York with her two sons and lived in the US for some time. They returned to Rome in the early fifties and then back to the States in 1961. Louis moved to Boston and attended Harvard and MIT. Narcissus went to San Francisco and studied at the Institute for Fine Arts. Louis is now the Director of the College of Milan and has a son named Andrea Quagliata. Narcissus is now a famous stained glass artist and teacher of the art of stained glass. Narcissus has a son named Orfeo Quagliata who is also a glass artist. Also, this line has a relative named Paolino Quagliata. Many thanks to John Quagliata for his work on this lineage and to Louis Quagliata for his contributions to our website. The second family's patriarch is Carmelo Quagliata, but it took quite a few years to figure things out. Many years ago, in the 1970s, my father, Joseph Quagliata (b. 1930) was on a business trip to Cleveland, Ohio. While there, one of the people he was doing business with asked him if he was related to the owner of a restaurant named, "Quagliata's White House". My father was very excited because he had never met a Quagliata outside of his own family. So he stopped in to eat dinner and met John Quagliata. They had a long talk and discussed family heritage. John and my father discovered that towns in Sicily that figured into their family histories were the same - particularly the towns on the north side of Mount Etna. They eventually came to the conclusion that John's grandfather Joseph was the son of Mario Quagliata (1840?-19??) by his first wife. As it would eventually turn out, their conclusion was incorrect. We've since received contributions from Natalie Quagliata in 2004 (John's niece), Angelo Quagliata in 2005 (John's son, who has a website, AngeloQ, which displays some family information), and an excellent listing completed by John in 2006 that goes all the way back to the 1700s. Carmelo Quagliata was born in the late 1700s, possibly about 1785, most likely in Forza D’Agro. Carmelo married Antonina Petrositta and they had seven children we know of: Giuseppe (1811-1879), Nicolo (1817-1890), Antonio (1818-1821), Maria (1822-1828), Antonio (1824-1?? ?, name reused), Angelo (1828-1894) and Giovanni (18??-1847). Carmelo’s son, Giuseppe married Dominica Altadonna and had two children: Angelo born 1849 and Giovanni born about 1862. Curiously, Angelo and Giovanni Quagliata married sisters who were possibly their cousins. Angelo married Teresa Quagliata and Giovanni married Maria Quagliata. Teresa and Maria were the granddaughters of Pasquale Quagliata, patriarch of the Sant'Alessio lineage described in the paragraph above. Their marriages into this lineage tie the two lines together. Angelo and Teresa had six children: Giuseppe, Rosalia, Antonia, Giuseppa, Carmelo Basilio and Aurelio. In 1910, Carmelo married Giuseppa Manfredi in Sant’Alessio. They had a son named Angelo in 1910, and another son named Giuseppe in 1913. In 1913, Carmelo immigrated to Cleveland where a third son, John, was born in 1918. Carmelo Basilio Quagliata is seen below, on the left, in a photo contributed by John Quagliata (b. 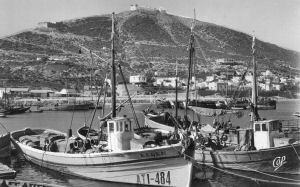 1940). Angelo married Dorothy Petti in 1936. The wedding party is pictured above, on the right (photo contributed by Natalie Quagliata, click for a larger view). On the right, below, are the parents of the groom, Carmelo and Giuseppa Quagliata, and the parents of the bride, Giovannino and Rose Petti (photo contributed by John Quagliata b. 1940). Carmelo Quagliata Angelo and Dorothy had three sons: Carl, John (who contributed the excellent family listing) and Alfred. Here's a bit on the family history from John: "My father (Angelo) was born in 1910 in Sant' Alessio. 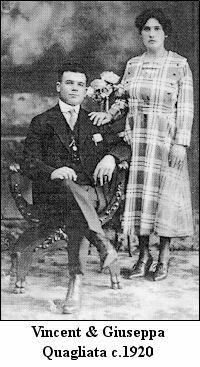 My grand parents, Basilio Carmelo Quagliata and Giuseppa Manfredi, were both born in Sant' Alessio in 1888. They came to Cleveland, Ohio in 1913. My parents were in the grocery business when I was a youngster. 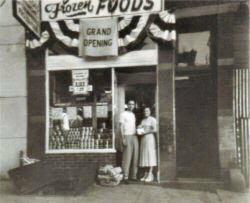 In 1967 my two brothers, Carl and Fritz (Alfredo) along with myself went into the restaurant business and opened a lot of stores. Now we only have one - Ristorante Giovanni's. My brother Fritz has a Holiday Inn with a restaurant (Alfredo's at the Inn), and my brother Carl has a bakery, Casa Dolce. Giovanni's is a beautiful five star restaurant opened in 1976. I have two unmarried children Angelo, born in 1965, who graduated from Boston College and also went to the University of Florence, and my daughter Toni (Antoinette), who graduated from Miami of Ohio." Natalie reports that there is another John Quagliata in the restaurant business in Cleveland: "His father and my grandfather are both from the same city in Italy. No confirmed knowledge that we are related though." John is working on that and it does now appear they are related. John did a lot of research to compile the family listing. He has also helped us with other branches and we are very grateful. Another interesting bit of information John provided was that his great grandfather, Angelo had a son named Aurelio Quagliata who moved to Africa in 1912. As it turns out, Aurelio is the patriarch of the next family below. The third family's patriarch is Aurelio Quagliata, grandfather of Roberto Quagliata, who lives in Rome. Roberto was studying art in London when he emailed his family information to us. His grandfather, Aurelio Quagliata was born in Sant'Alessio Siculo. Aurelio and his wife had six children: Angelo, Giuseppe, Teresa, Gianni, Carmelo and Salvatore. Gianni Quagliata married Lucia (maiden name?) and had four children: Luca, Ivan, Roberto (our contributor) and Giada. Also, they have a relative named Paolino Quagliata, who appears to be another link between Roberto's and Louis' families. Another interesting bit of information that John Quagliata (b.1940), of the Cleveland Quagliata family, provided was that his family patriarch, Giuseppe, had a grandson named Aurelio Quagliata who moved to Africa in 1912. A study of the records shows that Roberto's family is indeed related to John's through Aurelio. Judging from our current information, these three branches are probably linked and they most likely join the main tree at some point before Mario Quagliata (1840?-19??). Giuseppe Quagliata (1840?-1920?) is the patriarch of another Quagliata family from Caltanissetta - a little Sicilian town about 40 miles northeast of Agrigento. Caltanissetta is the place of origin of Vittorio Quagliata's family. This is the Vittorio quoted in the "Welcome" section of the main webpage. In the "Narrative" section on our main webpage, we mention Mario Quagliata (1840?-19??) fought with Garibaldi. Vittorio's great-grandfather, Giuseppe Quagliata also fought with Garibaldi and won three medals (photo on the left, click for a larger view). 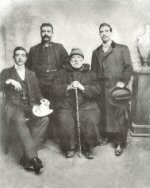 The photo on the right shows Giuseppe with his three sons: from the left - Vittorio's grandfather Vittorio, his brother Agostino (or Agatino), Giuseppe, and the third son, Guglielmo (click for a larger view). Vittorio currently lives in Milan, Italy and has met Louis Quagliata (see above). Another member of Giuseppe Quagliata's (1840?-1920?) family named Salvatore Corso (of Rome) has also contributed to our project. Salvatore's grandmother, Laura Quagliata was a sister to Vittorio's grandfather, Vittorio Quagliata - and the brother and sister were children of the family patriarch, Giuseppe Quagliata (1840?-1920). In fact Giuseppe had several children: Vittorio, Agatino, Guglielmo, Clotilde (or Clorinda), Silvia, Laura, Maria (or Marta) and Carmela. Salvatore's grandmother Laura married Salvatore Corso who became a wealthy Baron by the end of the 1800s. They had 21 children. Salvatore's father was the 20th born. He also has information that indicates Giuseppe Quagliata's (1840?-1920?) family may have been from Venice. Salvatore Corso also noted that when Giuseppe Quagliata (1840?-1920?) died, he was put into his coffin dressed in his Garibaldini Uniform (he was a Sargent). 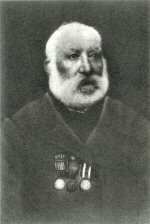 The local Maresciallo (marshall) came along and asked why he was dressed that way, and was told that Giuseppe had fought with Garibaldi and had won 3 medals. The Maresciallo told the family not to remove the body until he ordered so. Within a half an hour the Maresciallo had sent four Carabinieri (Italian police which are a branch of the army) in High Uniform to stand as a Guard of Honor, and then they escorted the coffin to the cemetery. Stéphane Quagliata, of Lyon, France, has contributed more information on this lineage. Stéphane's father's name is Agostino Quagliata, born in Morocco, which was also the name of Giuseppe Quagliata's (1840?-1920?) oldest son, who the family lost touch with after he moved to Morocco. It now appears that Agostino married a woman in the area of Morocco and had at least one child: Gaspard Gabriel Quagliata (1909-1966), born in Tunis, Tunisia and died in Agadir, Morocco. Gaspard married Giusepine Rizzo. He ran a wrought iron business in Agadir, Morocco from 1950 to 1960 (Stéphane provided a photo card of Agadir harbor - on the right - click for a larger view so you can see Gaspard's business sign). Gaspard and Giusepine had at least one child: Agostino Quagliata (1944-1997) born in Casablanca, Morocco. Agostino married Micheline Blanchard (b.1945, born in Casablanca) and they had one child: Stéphane Quagliata. Judging from our current information, it appears that this branch meets the main tree at some point before Mario Quagliata (1840?-19??). 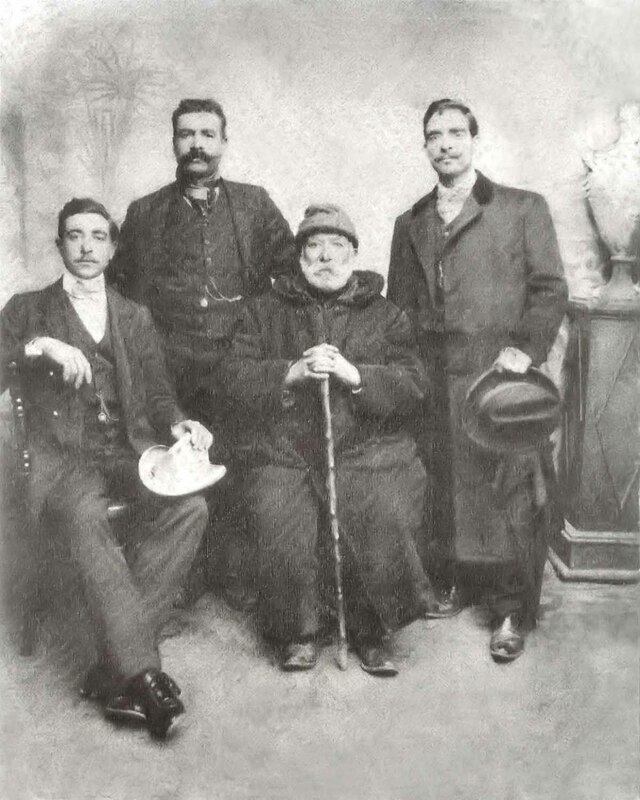 Giuseppe Quagliata and his three sons, from the left: Vittorio, Agostino and Guglielmo. According to our current information, Castellammare Del Golfo is a town that Mario Quagliata (1840?-19??) lived in for a brief time. Thanks to contributions from our visitors, we have found six other lines that trace back to Castellammare. The first family's patriarch is Peter Quagliata, grandfather of Leonardo Quagliata. Peter Quagliata was born in Castellammare. He married Teresa Borruso and moved to central Italy where Leonardo's father, Giuseppe Quagliata was born. Leonardo has a sister named Manuela Quagliata. Judging from our current information, it appears that Peter's branch meets the main tree at some point before Mario Quagliata (1840?-19??). Giuseppe Quagliata (1870-1936) The next family's patriarch is Salvatore Quagliata. Salvatore was from Castellammare del Golfo, Sicily and was probably born in the very early 1800s. Salvatore married a girl named Nicolena and had at least one child, a son named Giuseppe (Joseph, pictured on the left, click for a larger view). Joseph was born in Castellammare and married Palma Columbo (pictured on the right, click for a larger view). They had nine children: Salvatore (died in childhood), Nicolina (died in childhood), Salvatore, Nicolena, Nicolo (died in childhood), Maria, Nicholas, Gertrude and Josephine. Giuseppe and Palma immigrated to New York with their two sons, Nicholas and Salvatore, about 1910. His family is in the New York City area, mainly Valley Stream, Long Island, Brooklyn and the Bronx. We've heard from five members of this family: Joanne Quagliata, Joseph Quagliata, Daniel P. Quagliata, Nicholas Quagliata and Nina Puccio. Nina contributed the terrific photos that accompany this narrative. 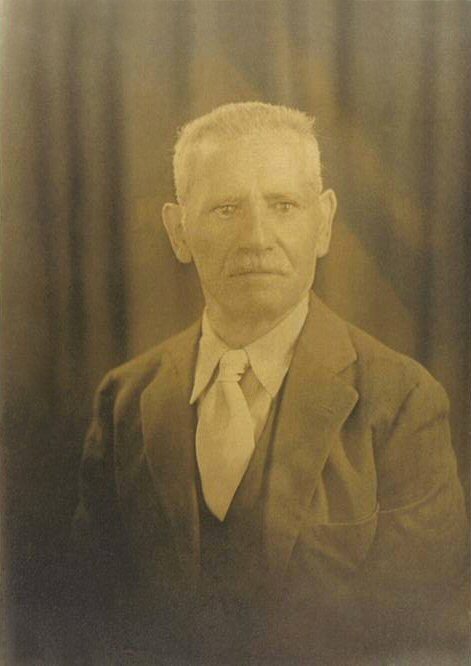 Joseph sent in a bit of family history: "My great-grandfather [Salvatore Quagliata] immigrated to Brooklyn, New York about 1910 from Castellammare del Golfo, a small fishing village near Trapani on the west coast of Sicily. He married Antonina Pecora in New York and they had eight children. The family is pictured on the right - back row, left to right: Anthony, Palma, Salvatore ("Sammy"), Joseph (my grandfather); front row, left to right: Annie, Nicholas, Peter, Salvatore, Antonina and Lena (click for a larger view). Only Lena is still alive. All of them have families who have stayed in the New York area (Valley Stream, Long Island, Brooklyn). My grandmother, Josephine Quagliata was born Josephine Uddo. My father's name is Salvatore Quagliata. As you may know, in the Sicilian tradition the first son is named after his paternal grandfather and the second son after his maternal grandfather. Hence, in our family, the names Salvatore and Joseph are constants, dating back hundreds of years in Sicily. My father has one younger sister, Nina, named after the paternal grandmother Antonina. I am unclear as to how many brothers my great-grandfather Salvatore had and what their names were. I know that he had a brother named Nicholas." Nina Puccio adds, "Lena [Nicolena], at 82 years young (and still dancing), is the only living sibling." Salvatore (Sammy) and Antonina Quagliata outside their store. Nicholas Quagliata sent in some family history on his branch: "My father is Nicholas Quagliata (died 1990), brother to Salvatore Quagliata (Uncle Sam, died 1977), who both immigrated to Brooklyn, New York around 1910 from Castellammare del Golfo, Sicily with my grandfather Joseph Quagliata. My father had 1 brother, Salvatore (aka Sam) and 4 sisters: Anna, Lena, Jenny and Josephine. My mother Concetta (Tina) Antonucci Quagliata died recently on 4/22/2006 at the age of 94. My father told me he was born in Sicily in 1902 and traveled to New York in 1910 with his family. 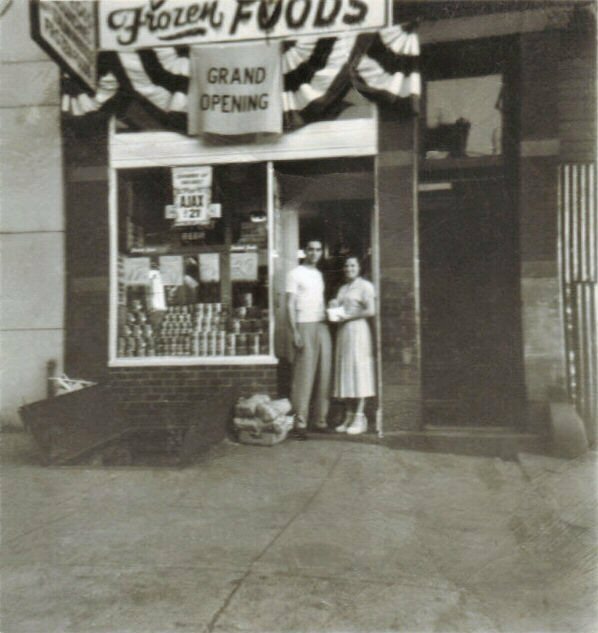 He was a barber and owned a beauty salon named Fabians with my mother in Brooklyn, New York, and Uncle Sammy owned a candy store in Williamsburg, New York (pictured on the left, click for a larger view). We always had family gatherings at my Aunt’s home located in Valley Stream, Long Island." Judging from our current information, it appears that Salvatore's branch meets the main tree at some point before Mario Quagliata (1840?-19??). The third family's patriarch is Melchor Quagliata. This line from Castellammare turned up when Melchor Quagliata emailed information on his family. Melchor's great-grandfather was born in Castellammare del Golfo. Melchor's grandfather, also named Melchor, was born in Castellammare and then immigrated to Argentina where the family now lives. Melchor, who lives in New York City, sent in a bit of family history: "My father was born in Argentina in the 1940's. His father, my grandfather, moved from Italy before that. My grandfather and I share the same name, Melchor Quagliata. My grandfather's parents came from the Castellamare del Golfo in Sicily. My grandfather also married a woman named Antonina. There seems to be a genetic disposition on the part of Quagliatas to marry women named Antonina. It is also my sister's middle name. Anyway my father is 65 and my uncle 70. At the turn of the century the Quagliatas owned or worked on a large olive farm in Italy. My grandfather moved from Italy to Argentina and there I have a large family. 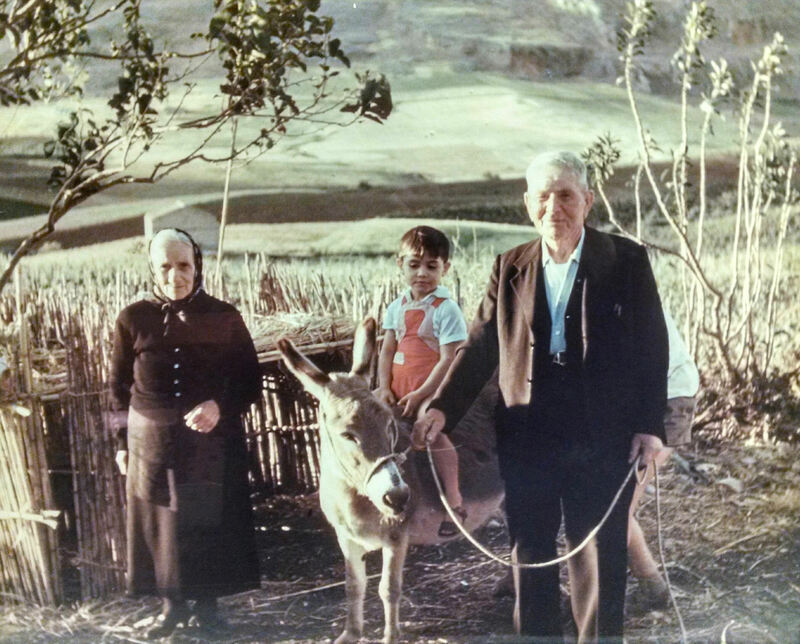 My dad has a cousin in Argentina and I believe he has met some Quagliatas in Sicily who still live on that farm that has been passed down for generations." Judging from our current information, it appears that Melchor's branch meets the main tree at some point before Mario Quagliata (1840?-19??). The fourth family's patriarch is Melchiorre Quagliata. Melchiorre's son sent us the information on this lineage. "My parents are Adriana Plameri and Melchiorre Quagliata. I have a brother Joseph (Gissuppe) and a sister Ivana. Both of my parents came to New York from Castellammare Del Golfo. I was born in Brooklyn and then grew up in Long Island where I learned of a Quagliata Family in the next town over. I always wondered how many Quagliatas were out there and now it appears that there are more than anticipated." Our current information indicates that Melchiorre's branch meets the main tree at some point before Mario Quagliata (1840?-19??). The fifth family's patriarch is Pietro Quagliata. Anthony Galier contributed the following narrative: My grandfather (Victor) was born in 1902, to Pietro and Michela [Pellegrino] Quagliata. Pietro was born and raised in Castellammare del Golfo, Sicily. 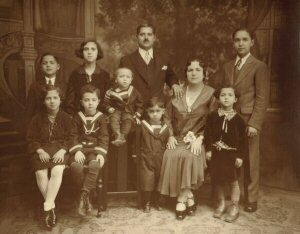 Pietro and Michela had eight children: Vincent, Sam, Peter, Joe, Michelena, John, Tony, Sam and Victor (born 1902). At the time of Victor’s birth, his parents were living in Tunis (French West Africa, at that time). Pietro was a mine worker. Victor’s brother, Vincent, was apparently the first of their family to immigrate. In about 1912, Vincent was living in Cleveland, Ohio, and brought the rest of his family to the United States. Apparently, Vincent, Pietro, and one or more of the other brothers worked digging sewers in Cleveland. It was at this time that Vincent was encouraged by his employer to change his name. After Vincent changed his name to Galier, the rest of his brothers followed. My grand father and his brother Sam were younger and were educated in the US. My grandfather eventually became an architect. Susan Brunasso writing for Vincent Cesare contributed more information on this branch: Pietro and Michela Quagliata's son Vincent Quagliata (Galier) married Giuseppa Ferlito in 1920. You can see their wedding picture on the right (click for a larger view). Vincent and Giuseppa had four children: Michela, Caterina, Guilia and Giuseppa. Caterina (Quagliata) Galier married Anthony Cesare and they had three children: Vincent (who contributed this information), Rosemary and Catherine. Vincent (with Susan Brunasso) contributed the following nicely done narrative: Vincenzo (1892-1989) was the oldest of seven sons born to Pietro Quagliata (1870-19??) and Michela Pellegrino (1873-19??) in Castellammare del Golfo, Sicily. When he was small he helped his father farm olive groves but the life was very hard. About 1900 Pietro and Michela and three sons, Vincenzo, Giuseppe (1895-1959), and Pietro (1899-1982)) went to Tunis, Tunisia where Pietro worked in a quarry outside of town. Vincenzo became a water boy at the quarry when he was 8 years old. One more son was born in Tunis, Vito (1902-1997). The family returned to Sicily from Tunis sometime before 1905 when the fifth son, Salvatore (1905-2001) was born in Castellammare del Golfo. About 1905-1906, Pietro left his family in Sicily (maybe with Michela's parents in Balata di Baida) and went to Reading, Pennsylvania, USA, and Vincenzo (age 14) joined him there in June of 1906. Pietro worked in the mines and Vincenzo was a water boy. In 1909 Pietro and Vincenzo returned to Sicily, and Vincenzo stayed with his maternal grandparents in Balata di Baida (near Castellammare). The sixth son, Giovanni (1911-2006) was born in Castellammare del Golfo. In April of 1911, Vincenzo returned to Reading , PA with his brother, Giuseppe. Sometime before 1913 Vincenzo and Giuseppe moved to Cleveland, Ohio, where Vincenzo, and maybe Giuseppe, worked on city construction projects. 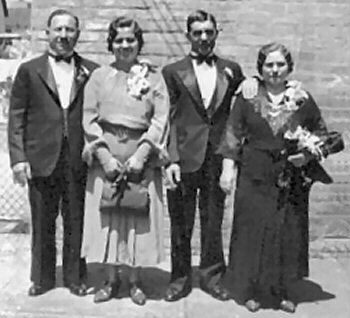 Vincenzo had his parents and brothers join him in Cleveland - Pietro, Michela, and sons Pietro, Vito, Salvatore and Giovanni immigrated to Cleveland, June 24, 1913. About the name change: Vincent heard family stories that his grandfather, Vincenzo, had his name changed to Galier by immigration when he came to the US but there is no evidence to support this. He entered the US several times under the name Quagliata and Vincenzo, Giuseppe, and Pietro all registered for the draft in 1918 under the name Quagliata in Cleveland, Ohio, living at 2348 E 40th St. with the rest of the family. Vincenzo was a construction foreman for the Austin Co and was the partial support of his parents. Giuseppe served in the military during WWI. The seventh son, Antonio (1917-1994) was born in Ohio. Vincenzo became a US citizen, July 10,1919, under the name Vincent Quagliata and obtained a passport 8 Dec 1919. Per his passport application his stated occupation was contractor so he may have already formed the company Galier Brothers. He left for Sicily on December 31, 1919 to settle an estate. However, the family story is that his parents had arranged a marriage for him to a girl in Sicily. By the time he got to Sicily the engagement had been broken by mutual consent, and he went to the girl's parents' house in Buseto Pallizzolo (near Castellammare) to pay his respects and met the ex finance's sister Giuseppa Ferlito. Vincenzo and Giuseppa Ferlito were married April 19, 1920 and returned to the US July 9, 1920 through Boston, using the address of 2348 E 40th St., Cleveland. There is no record in the 1920 US census of any of the family in Ohio but they could have been missed or they could have been on a trip to Sicily. Using his experience from working on city construction projects, Vincenzo started a company named Galier Brothers that did civil construction work. Vincenzo and Giuseppa had 2 daughters in Ohio, Michela (Lena; 1921-) and Caterina Secunda (1922-1998). In early January 1925 Vincenzo, Giuseppa and their 2 daughters went to Sicily. 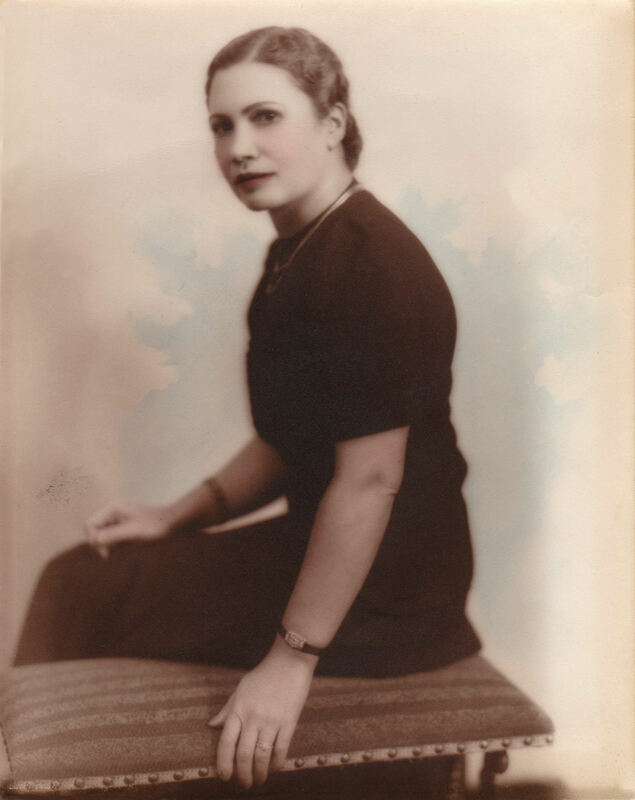 A third daughter, Guilia (1925-) was born in Sicily. They returned to the US, May 2, 1925, under the name Quagliata Galier. 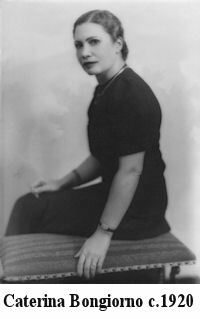 A fourth daughter, Giuseppa (Josephine; 1929-), was born in Ohio. In the 1930 US Census Vincenzo and his family are using the name Galier, living at 3314 Lee Rd, Shaker Heights, OH. In the 1930 US Census there is a Pietro and Michela Galier living on a farm in Dover, OH, who are the right age for the parents and who arrived in the US on the right dates. There are no other Quagliata or Galier names in the Cleveland area on the 1930 Census, but sometimes people are missed or the names are misspelled. Vincenzo, his wife and youngest daughter went to Sicily in April 1930. Giuseppa and the youngest daughter returned in April 1931 using the name Quagliata, and Vincenzo returned alone in May 1932 using the name Quagliata Galier. In 1933 Vincenzo opened a macaroni factory in Jamestown, NY but the business failed. He sold everything and went back to Sicily with his wife and 4 daughters intending to stay. His reason was his health was bad and he need to recuperate. The family returned in October 1936 and after visiting family in Cleveland, he moved to Los Angeles, CA. He started another construction company with the name Galier Brothers and some of his brothers moved from Ohio to join him in the business. He lived in Inglewood and later La Jolla, CA. Vincenzo and Giuseppa made at least one more trip to Italy in 1954. He died in a nursing home in Canoga Park, CA, December 26, 1989 at the age of 97. His wife Giuseppa died in the home of her daughter Guilia (Julia) in Bakersfield, CA, August 5, 1994 at the age of 97. Vincenzo and Giuseppa were married over 59 years. From our current information, we're not yet able to determine where Pietro's branch meets the main tree. Amelia Galier Louis, great-great granddaughter of Pietro Quagliata (1870.(69? )-1946), has contributed more information on this branch: Pietro Quagliata's, parents, Vincenzo Quagliata and Anna Stabil, wanted him to become a catholic priest. He was about to graduate when he decided to give up his education to marry Michela Pellegrino. Pietro and Michela were married in 1891 in Sicily (photo on the right, click for a larger view). They had seven sons: Vincent, Joseph, Peter, Victor, Samuel, John, and Anthony. Pietro was a vineyard worker in Sicily until a plant disease devastated the vineyards in 1900. Pietro then moved the whole family (including Vincent, Joseph, and Peter at the time) to Tunis (French West Africa) for work. They lived a very hard life in Tunis, and in 1905, Pietro decided to try his fortune in America alone. He sent for Vincent one year later to join him and help provide for the family. We also have records that Joseph went to America at this time as well. Michela moved the remaining family in Tunis back to Sicily in 1907, near her family in Balata di Baida. In 1909, Pietro and Vincent (and possibly Joseph) met Michela back in Sicily after accumulating a small fortune in America, and to start a new life in the vineyards of Sicily. Vincent did not feel that the prospects in Sicily were as promising as they were in America. He convinced his father to let him and Joseph return to America to work and eventually bring the rest of the family over. The two brothers went back to America in 1910 and began working in construction in Cleveland, Ohio. Our records after this point only follow Joseph, possibly due to loss of contact with the family. It appears that once the rest of the family was brought over in 1912, there may have been conflict between the brothers that broke some of them apart. Joseph became a naturalized citizen in 1920. He married Caterina Bongiorno (photo on the left, click for a larger view), from Trapani, Sicily, that same year. This was believed to be an arranged marriage. Joseph changed his last name to ‘Galier’ in 1928, probably by the direction of his brother Vincent. They changed their name by the direction of a boss who said that ‘Quagliata’ was too hard to spell. 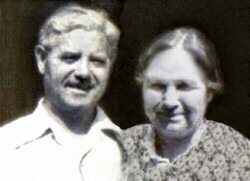 In 1930, Joseph and Caterina gave birth to my grandfather, Peter Galier. Sometime in his early childhood, Peter returned in Sicily with his father, but there is little detail of their trip. Peter followed in his father footsteps and opened his own construction company in 1959, called The Galier & Carlini Construction Company. He also obtained a civil and structural engineering degree from Cleveland State University and served in the U.S. Army. Peter married Irene Cale, who later gave birth to my mother, Charisse, in 1961. Peter always encouraged my mother to continue the family name, so she gave both my brother and me the middle name of ‘Galier.’ It was not until we searched through records that we learned ‘Galier’ was not the original last name of the family. The sixth family's patriarch is Santiago Quagliata. Carlos Federico Poli is an attorney who represents Santiago Quagliata of Florencio Varela, Argentina (grandson of the patriarch). Carlos contributed a genealogical list of Santiago's family. Santiago Quagliata was probably born in Castellammare del Golfo, Sicily around 1880. He married Marianna Bertolino and they had at least two children - one named, Pietro Quagliata (1906-1991) and at least one other son - Pietro's brother. Pietro emigrated to Buenos Aires, Argentina. There he met a girl from Castellammare named Paola Sarcona and they married in 1942. Together they had at least on child named Santiago Quagliata (b.1947). Santiago has a cousin named Santiago Quagliata living in the USA, the son of Pietro's brother. Santiago married Antonia Rodz in 1967 and they had two sons: Claudio Alejandro Quagliata (b.1969) and Pedro Sergio Quagliata (b.1972). Claudio married and has two children. Pedro also married and has three children. Santiago Quagliata is one of the owners of Vision Sur S.A. (cable television network); his son Claudio is the owner of ZOO (Zoologico de Florencio Varela SA). From our current information, we're not yet able to determine where Santiago's branch meets the main tree. While Sant'Alessio Siculo is the little town "south of Messina" that many believe is the place of origin of the Quagliata lineage, it actually had not yet developed when Giovan Battista Quagliata (1603-1673) was granted the land where Sant'Alessio Siculo now stands. If any Quagliata births occuring in the land grant were registered with the church or the government, they most likely would have registered in Forza D'Agro, just up the hill east of where Sant'Alessio Siculo developed. According to our current information, Forza D'Agro is the town where Mario Quagliata (1843?-19??) was born. We believe his first wife was from this part of Sicily - the north side of Mt. Etna. Mario's narrative is located in the Narrative History on the main page of this website. Thanks to contributions from our visitors, we have found another line that traces back to Forza D'Agro. Giuseppe Quagliata is the patriarch of another Quagliata family from Forza D'Agro, Sicily. Mike Pagano contributed the information, with help from John Quagliata (b.1940) of the Cleveland, Ohio Quagliata family. 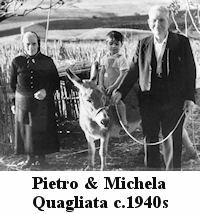 Mike Pagano's great grandmother was Concetta Quagliata (b. 1891), the great granddaughter of Giuseppe Quagliata, probably born about 1800. Giuseppe married Vittoria Villara and they had at least one child: Stellario Quagliata. Stellario married Concetta Bertolone and had at least three children: Francesco, Giuseppe and Carmilla b. 1868. Carmilla married Pasquale Riggio and they settled in the Ivoryton area of Connecticut. They had four children: Alessi b. 1895; Joseph b. 1897; Mary b. 1904; and Santi b. 1908. Giuseppe married and had six children: Stellario immigrated to Connecticut - first the Hartford area, then Old Saybrook; Concetta (Mike's great grandmother) immigrated to Cleveland and then moved to NYC; Giuseppe immigrated to Cleveland and then moved to NYC; Antonio immigrated to Connecticut and then moved to NYC; , and two more sisters who came to the United States, but then returned to Sicily. Concetta married Stefano Pagano b. 1891 and had five children: Rose b. 1911; Anna b. 1915; Carmela b. 1918; Joseph b. 1920; and Dominick b. 1923, who is Mike's grandfather. The five children's families are now spread out into New York, New Jersey and Connecticut. We've decided to dub this large family the NYC/Connecticut Quagliata family. Judging from our current information, it appears that this branch meets the main tree at some point before Mario Quagliata (1840?-19??). Linguaglossa is a small town on the northeast side of Mt. Etna. According to our current information, some family members on our main tree trace back to Linguaglossa, and all of them are part of the lineage from Mario Quagliata's (1843?-19??) first marriage. Alfio Quagliata is the patriarch of this branch of the Quagliata family from Linguaglossa. Alfio (1862-1949) was born in Linguaglossa on May 12, 1862. He married a hometown girl, Antonina Curcuruta (1862-1957) and they had three children: Salvatore (1895-19?? ), Rosa and Gaetano. In 1908, Alfio move to Syracuse, New York with his son Salvatore, living there 20 years before returning to Sicily in 1928. Gaetano married Natalia Tornatore and named their son Alfio Quagliata (who contributed this information). Alfio, the grandson, married Brigiette Wuersig and they had two children: one daughter, Natalia, and one son, Tanio. They lived in Berlin, Germany for many years and are now back in Sicily. It is most likely Alfio's family is related to our main tree through Mario Quagliata's (1843?-19??) first marriage, but we have yet to confirm this. Messina is a large town on the northeast point of Sicily, right across the Straits of Messina from the toe of the boot of Italy. Thanks to contributions from our visitors, we have found two more Quagliata lines that trace back to Messina. The first family's patriarch is Agostino Quagliata. He was born in Messina around 1875. He married Caternia Ancora and they eventually ended up in Locadi, Sicily. There they had at least one son named Carmelo Quagliata (1898-19??). Carmelo grew up in Locadi and married Gina Spadaro. They had a son name Tino Quagliata in Locadi and then emigrated to Binghamton, New York. There, Carmelo and Gina had three more children: John, Charles and Joseph. Our current information indicates that this branch meets the main tree at some point before Mario Quagliata (1840?-19??). Rosario Quagliata is the son of the patriarch of another Quagliata family from Messina, Sicily area. The information on this lineage was sent in by Sara Davies of New York City. Unfortunately we don't have the names of Rosario's parents who were each no more than five feet tall. Rosario and his wife, Maria Melicia, were both from the Messina area and were lemon farmers. They had two children: Dominic Quagliata and Rosario (Russell) Quagliata. Dominic married and had three children: Dominic, Linda and Sandra. Rosario was originally married to Sarah Davies and had two children: Justin and Elise. Judging from our current information, it appears that Rosario's branch meets the main tree at some point before Mario Quagliata (1840?-19??). This section contains narratives from families who don't know their town of origin. We have three Quagliata lines that trace back to an unknown town in Sicily. Dominic Quagliata is the patriarch of a Quagliata family from Sicily, but their home town is unknown. The information was sent in by Rory Quagliata. Dominic and his first wife had three children: Charles Quagliata, Joseph Quagliata and Dominick Quagliata. Dominic's first marriage ended in divorce and Dominic remarried. Dominic and his second wife raised the three boys. Dominick Quagliata married and had a son named Paul Quagliata who was born in New Brunswick, NJ in 1911. Paul Quagliata married and had a son named Paul Edmund Quagliata who is married to Rory. Judging from our current information, it appears that Dominic's branch meets the main tree at some point before Mario Quagliata (1840?-19??). Patrizia Quagliata is the great granddaughter of a patriarch from Sicily. She believes her great grandfather was born in Sicily. He had a son who eventually moved to Napoli (Naples) where Patrizia's father was born. Currently, we don't have enough information to determine where this branch meets the main tree. 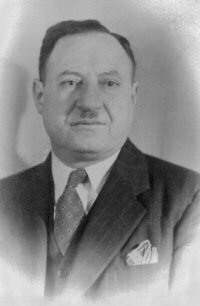 Anthony Quagliata (1882-1975) is the patriarch of another family from Sicily. David Poynter contributed this information. His wife Geri is a descendant of Anthony. Anthony was probably born in Sicily. He married a girl name Josephine and they eventually ended up in Brooklyn, Kings, New York. They had seven children: Maria, Anna, Joseph, Lena, Beatrice, Salvatore and Giuseppe. Maria married Giuseppe Agrusa who was born in Palermo, Sicily in 1898. They had four children: Teresa, Josephine, Catherine and Marianne. Our current information indicates that this branch meets the main tree at some point before Mario Quagliata (1840?-19??). Balvano is a small town on the southern Italian mainland and is about 50 miles southeast of Naples. According to our research, it appears that the Sicilian branch of the family came from Balvano by way of Rome in the person of Giovan Domenico Quagliata (1570?-16??). Thanks to contributions from our visitors, we have found five Quagliata lines that trace back to Balvano. In two of the families, the name of the family patriarch is Antonio, suggesting they are related. The first family's patriarch is Antonio Quagliata, grandfather of Luciano Quagliata, who contributed this information. Here is Luciano's narrative: "My grandfather, Pascual Quagliata, came to Argentina when he was eight years old in 1906. He was born in Balvano, Potenza. He died in 1966. Unluckily I never met him because I was born after he died. His parents, my greatgrandparents, were Antonio Quagliata and Lucia Bovino, who came to Argentina some years later. They were from Balvano as well. My grandfather had 6 siblings: Rosa, Carmela, Filomena, Carmelo, Victor, Jose. My grandfather had two children: Pascual Umberto (my father) and Alcira Elba, my aunt. My father died in 2000 at the age of 66. I have two brothers: Eduardo Humberto Quagliata and Fabricio Humberto Quagliata." Judging from our current information, it appears that Antonio's branch meets the main tree at some point before Mario Quagliata (1840?-19??). The second family's patriarch is Giuseppe Quagliata. Eilynn Seballos Quagliata, who married Giuseppe's grandson, Francis, contributed this information. Here is Eilynn's narrative, sent in shortly before her marriage to Francis: "My fiance's father, Gerardo Quagliata, was born in the town of Balvano in Potenza, Italy. Gerardo's parents, Giuseppe Quagliata and Carmela Iaquinta, migrated from Italy to Uruguay after the second world war, bringing their children." Gerardo and his wife had a son named Francis (Frankie). "Frankie was born and grew up in New Jersey, but did spend some of his formative years in Montevideo, Uruguay." Judging from our current information, it appears that Giuseppe's branch meets the main tree at some point before Mario Quagliata (1840?-19??). The third family's patriarch is another Antonio Quagliata (1911-1977). Antony Quagliata, Antonio's grandson contributed the information. Antonio Quagliata was from Balvano (Potenza in Italy). Antonio married Rosa Casale (1916-1980). They had two children: Domenico and Gerardo. Gerardo still lives in Balvano. Domenico immigrated to Belgium to marry Loredana Cavicchi. Together they had three children: Antony, Romina and Mélina. Rosa Quagliata died in the terrible earthquake which hit the Naples area the 23rd of November 1980. The earthquake caused a large amount of destruction in Balvano. From our current information, we're not yet able to determine where Antonio's branch meets the main tree. The forth family's patriarch is Gerardo Quagliata (1???-1962). Gerardo's great granddaughter, Filomena Di Stasio, contributed some of this information. Gerardo married Caterina Teta in Balvano. They had seven children: Filomena 1906-1993, Antonio 1907?-1966, Carmela 1912-2005?, Vincenzo 1914-19? ?, Carmine 1916-19? ?, Guiseppina 1918, and Giuseppe 1920. 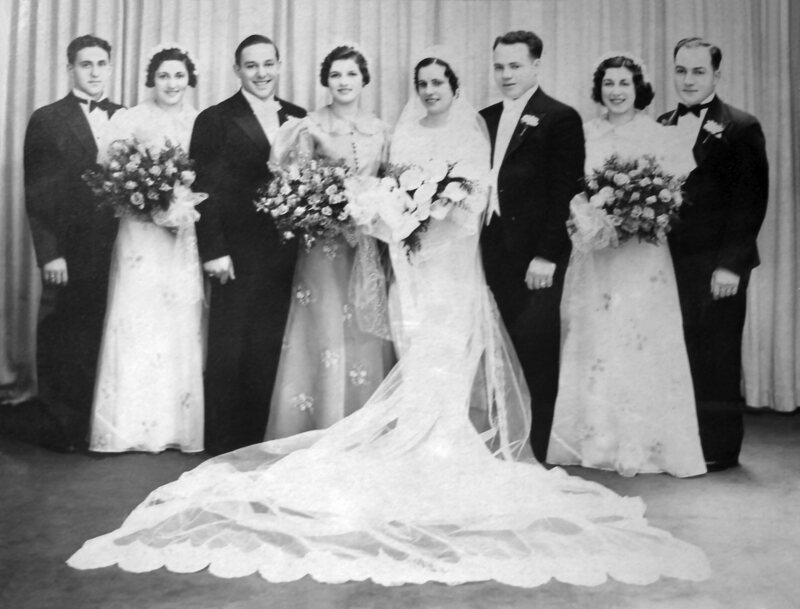 Filomena married Mattia Di Stasio in Balvano and immigrated to Canada in 1958. Filomena' brother, Antonio Quagliata (1907?-1966), was born in Balvano about 1907. Antonio married Matturra Costantina and together they had seven children: Giuseppe, Carmine, Gerardo, Rocco, Angela and Caterina. Giuseppe was born in 1931. He got married and had children, but we only have the name of one - Antonio, who contributed this information. Giuseppe's siblings all had sons and grandsons, and they are scattered all over Italy. From our current information, we're not yet able to determine where Gerardo's branch meets the main tree. The fifth family's patriarch is Nicholas Quagliata (18??-19??). Nicholas' granddaughter, Annette Marotta, contributed this information. Nicholas Quagliata came to the United States sometime around 1902-3, probably from Balvano, and lived most of his life in Brooklyn. His wife and four year old daughter, Pasqualana, left Balvano and arrived in New York via the Napolitan Prince on Oct, 16th 1905. The manifest number on the ship for Pasqualana was 0012 and the port of departure was Naples. In US Customs, Pasqualana's name was changed to Lena Guagliata. From our current information, we're not yet able to determine where Nicholas' branch meets the main tree. Pietro Quagliata is the patriarch of another Quagliata family that originated in Napoli. Pietro was born in Napoli in the 1800s. He had a son named Giuseppe Quagliata born in August of 1882. Thanks to contributions by Natalie Quagliata, we now know Giuseppe was married twice. His first wife was Maria Del Prete and they had three children: Amedeo, Elena and Yolanda. Giuseppe's second wife, Giovanna DeVita had four children: Umberto, Vittorio, Claudio and Maria. Pietro's grandson and Natalie's uncle, Umberto Quagliata contributed more family information. Umberto now lives in Piacenza, Italy. He married Adriana Chiummarello and had three children: Roberta, Livio and Paola. Natalie's father, Vittorio was born in Napoli and Natalie now lives in Cologne, Germany. Our current information indicates that this branch meets the main tree at some point before Mario Quagliata (1840?-19??). Pasquale Quagliata (b.~1860?) is the patriarch of another Quagliata family. Pasquale was from Pettorano Sul Gizio, Italy and was married Roselia Almoset(?) and they had at least one child named Anna Quagliata. 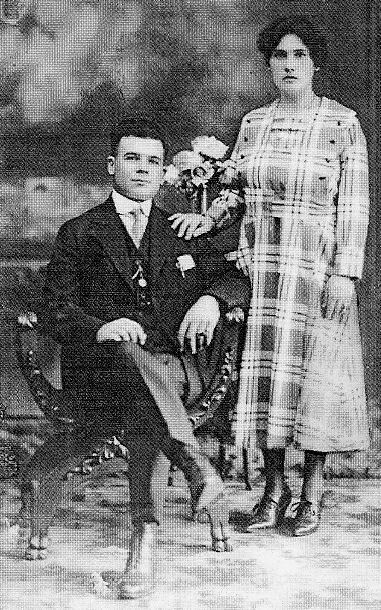 Anna married Vincenzo DiCocco and they immigrated to Stubenville, Ohio in 1913. Anna and Vincenzo had at least three children: Teresa born in 1907, Margherita born in 1909 and Angelo born in 1911. Teresa married Silvio Schiazza. The family members now live in Ohio and Illinois. Pasquale's great great granddaughter, Donna Schiazza contributed the family information. Our current information indicates that Pasquale's branch probably meets the main tree at some point before Mario Quagliata (1840?-19??). We have information on another Quagliata family from Northern Italy, but unfortunately, we don't have the name of the family patriarch. Adam Quagliata contacted us looking for help in researching his family history. His grandfather's name was Savario Quagliata and he was from northern Italy. The family immigrated to Long Island, New York. Unfortunately that is the only information we have. At this time, we are unable to determine where Sarario's branch meets the main tree. We have information on another Quagliata family from southern Italy, but unfortunately, we don't have the name of the family patriarch. In fact we don't have any genealogical information to speak of. Around 1996, I got a call from Humberto Quagliata. Humberto, a famous and celebrated concert pianist, was in East Lansing to perform at Michigan State University's Wharton Center. Humberto told me of his habit of checking phonebooks during his travels and after checking the Lansing area phonebook for Quagliata's, he found my name and called. We had an interesting conversation. Humberto was born in Montevideo, Uruguay in 1955. He told me his family was originally from a town in southern Italy, so we are probably not closely related. Although it hasn't been confirmed by Humberto, we're guessing that his family is probably from Balvano, Italy. Humberto now lives in Madrid, Spain. Our current information indicates that Humberto's branch meets the main tree at some point before Mario Quagliata (1840?-19??). We have information on another Quagliata family from Italy, but unfortunately, we don't have the name of the family patriarch. In fact we don't have any genealogical information to speak of. In 2006, I got an email from Caprice Ann Quagliata of Monrovia, California. Caprice is interested in learning more about her family lineage. Her grandfather's name is Joseph V. Quagliata. We're guessing he was born around 1938, possibly in the White Plains, New York area. Joseph married to a lady named Elena. Joseph and Elena had a daughter named Sue Quagliata born 1959 in White Plains, New York. Sue is Caprice's mother. Unfortunately, we're not yet able to determine where Caprice's branch meets the main tree. These pages are optimized for the resolutions of 1024x768 and 1280x1024.